Carol Brick, founder and Managing Director of HerMoney, specialises in financial planning for women. As a working mother, the gaps she identified in professional women’s financial planning, led her to establish HerMoney in 2017, as a specialist division of CWM Wealth Management, which she founded in 2008, with offices in Cork and Dublin. 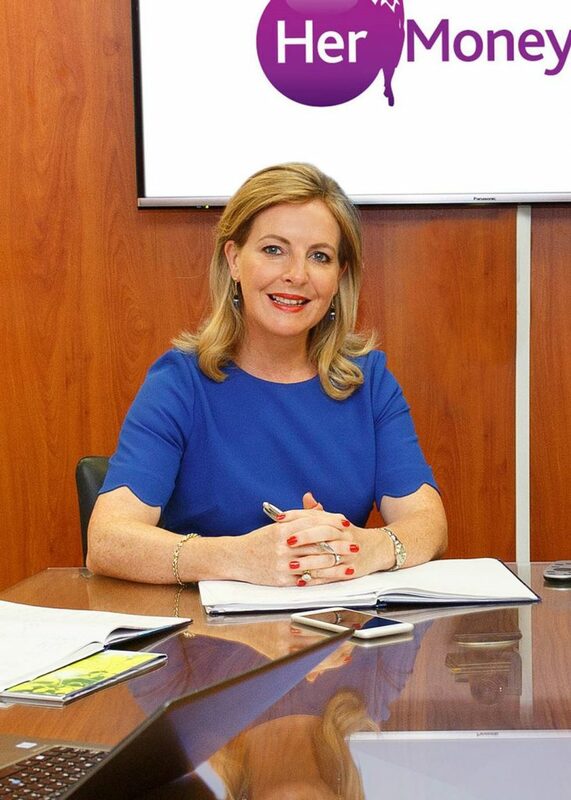 Carol began her career in the financial services industry over 16 years ago at the Bank of Ireland. Who has had a formative influence on your career? I am going to be very honest here and say my mother Margaret. Along with raising four girls, she has always been a strong work ethic, getting up well dawn every day with enthusiasm and vigour. She has inspired me to always reach for the sky and having such a strong, driven woman in my life has shaped me in so many ways for which I am so grateful. What have you learned about the rules of business over the last two decades? Over the last two decades, I have gone from being an employee in a large financial institution to being Managing Director of a company, so to say the learning curve has been steep is an understatement. However, I’ve learnt that running your own business is certainly challenging. Having the right team around you and meaningful business connections is the key to success. Like my mother, I prefer to grab the day by the horns at around 6am and I try to get to the office by 7am. This avoids the awful rat race traffic and gives me time to attack the to-do list before the madness kicks off at 9am. I usually work straight through till about 4pm and I then collect my three-year old son from his childminders. Then it’s home, dinner, a catch up with my boys, maybe a little more work and bed by 10pm. What mistakes do women make regularly while managing their finances? Busy working mothers like myself are often so busy trying to juggle busy careers with their household and family duties that when it comes to financial planning in general, they are not being proactive enough. We come across women with huge gaps in their financial plans especially in terms of proper retirement planning and protecting themselves and their loved ones in the event of illness or premature death. What is the one key piece of advice you would offer all business and professional women? The simplest and best formula for success in my opinion is to just “do a good job.” If you try and deliver a superior product and offer amazing customer service to both your new and most importantly your existing customers, they won’t have a reason to ever go elsewhere. Anyone who knows me will know that my key wardrobe staple is a smart dress. I wear dresses constantly and find them so comfortable and practical. I tend to wear bright colours, especially royal blue, and love to accessorise with chunky jewellery, a smart heel and of course that all essential raincoat.